Nice says honey and certain over-the-counter remedies "have some benefit for the relief of cough"
Coughs and colds are one of the most common reasons patients seek advice from community pharmacy – and even more so at this time of year. Therefore, the latest guidance from the National Institute for health and Care Excellence (Nice) on acute coughs and antimicrobial prescribing is well timed as the sector prepares for winter. The draft guidance, which was published in August, reinforces existing advice to avoid antibiotics for most people with acute cough. Instead, Nice recommends self-care options available in community pharmacies. In a statement published alongside the guidance, Nice said that honey – as well as the herbal remedy pelargonium, and the cough medicines guaifenesin or dextromethorphan (see below) – should be used for self-care, and that patients “may wish to try these before contacting a healthcare professional”. Honey as a first-line treatment? Nice referred to a 2014 review which suggested that a honey-based drink can reduce the frequency of cough – although the authors admitted “there is no strong evidence for or against the use of honey”. However, honey should not be given to children under one, because of concerns about infant botulism and tooth decay, Nice states. Professor Alyn Morice, head of the respiratory research group at Hull York Medical School, tells C+D that there is some evidence for using honey, which he says “has an emulsifying action [that] soothes the throat”. “The first port of call should be that [patients] go to the pharmacy if they think they need something more than honey and lemon,” he adds. Although Sadik Al-Hassan, pharmacist manager of Well Pharmacy in Kingswood, Bristol, does not stock honey in his pharmacy, he thinks it could be useful in some circumstances. However, Mr Al-Hassan questions the strength of the evidence – which came from a systematic review and meta-analysis of three studies in 568 children aged between one and 18, who were only followed up for one day. “I will continue to advise patients that have coughs to remain hydrated and make sure they have [a treatment] to use,” he tells C+D. Along with honey, Nice also says that certain over-the-counter (OTC) remedies “have some benefit in relieving cough symptoms” in people with acute cough who are not at higher risk of complications. It recommends self-care using “cough medicines containing the expectorant guaifenesin” in people over 12 years. Nice also advises offering “cough medicines containing the antitussive dextromethorphan” to people over 12 years, if their cough is not persistent or accompanied by excessive secretions. 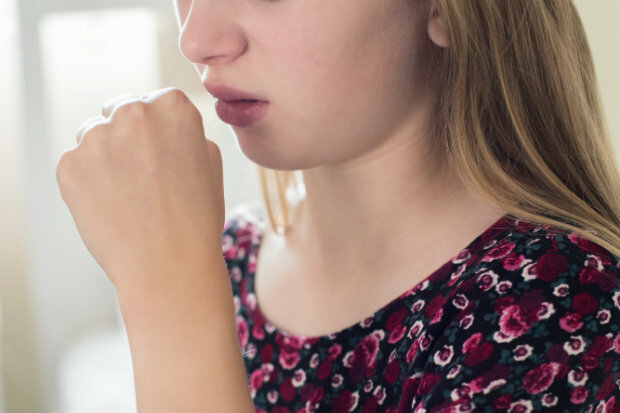 Nice also recommends the herbal remedy pelargonium as a self-care treatment, and says there is “limited evidence” suggesting it could “have some benefit for the relief of cough symptoms”. An area that is not discussed in the draft guidance is what Professor Morice calls the “dichotomy” that exists between wet and dry coughs, which he argues is no longer clinically necessary. Nice hasn’t “commented on the stupidity of the situation where the [counter] assistant asks if [patients] have a dry or a wet cough”, he says. “[Recommending] different things for dry or wet cough is a complete nonsense. There isn’t a difference in the efficacy of medicines due to whether [a cough] is dry or wet, as they are all the same illness: a viral respiratory infection. “I have written several articles saying that we should abandon this dry and wet dichotomy and say ‘[the patient] has a viral respiratory infection’,” he tells C+D. Professor Morice says the distinction is “a hangover” from a time when the risk of tuberculosis infection, which can be associated with excess phlegm, was higher. As this is no longer the case, he argues pharmacy staff should advise patients that OTC remedies are effective for both types of cough. The draft guidance also includes situations pharmacists should be aware of where patients should be prescribed antibiotics. 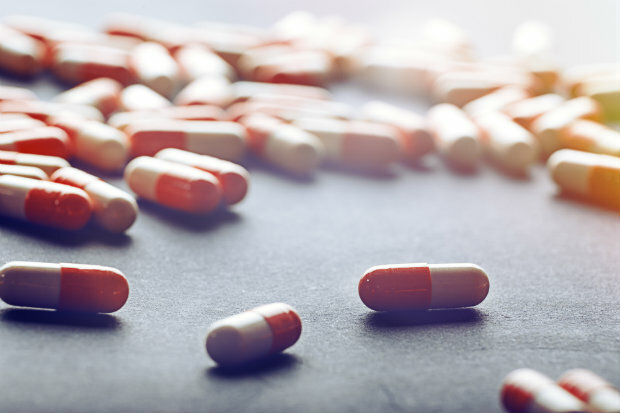 Nice suggests the use of antibiotics in people at higher risk of complications, or who appear to be “systemically very unwell” when seen in a face-to-face consultation. It also recommends that people who are not given antibiotics should be advised that coughs can last three to four weeks, and to seek medical help if their cough lasts any longer or their symptoms get worse. But Professor Morice says the draft document doesn’t “highlight what should be the red flags” for pharmacy staff, and says the sector needs better training in this area. “I have presented to various groups of pharmacists and they are in full agreement that they are doing it the wrong way in the pharmacy. There is a big training need for the pharmacy profession to train their [staff] in a correct fashion, rather than mimicking what they have been trained in during the 1960s,” he argues. Mr Al-Hassan says “it’s important to underline pharmacists’ role in managing acute coughs, and reducing inappropriate antimicrobial prescribing”. While Leyla Hannbeck, director of pharmacy at the National Pharmacy Association, urges the sector “to look at the bigger picture in terms of community pharmacy becoming more active in tackling antimicrobial resistance”. That, combined with the Nice guidance, “is going to have an impact on the advice to patients”, she says. The consultation on the draft guidance will close on September 20. For more on cough, read C+D’s Update module here. Ultra Chloraseptic Sore Throat Spray is available in pharmacies this winter in a 15ml format. The spray contains the “powerful” anaesthetic benzocaine, which is “delivered…straight to the pain for numbing relief in seconds”, Ceuta Healthcare claims. Each bottle contains over 100 sprays, which amounts to 33 adult doses or 100 doses for children aged between six and 12 years old. Ultra Chloraseptic Sore Throat Spray is available in various flavours, including blackcurrant, cherry, honey and lemon, and original menthol, and retails at £5.21. Sudafed Decongestant Tablets “reduce swelling in your nasal passages, to help you breathe through your nose”, according to manufacturer Johnson & Johnson. The active ingredient, pseudoephedrine hydrochloride, “offers highly effective relief for nose and sinus congestion”, it says. 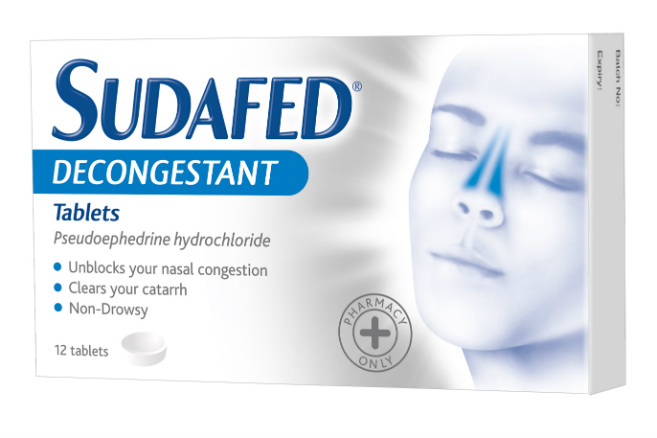 Johnson & Johnson claims Sudafed Decongestant Tablets are “effective for fighting congestion caused by colds and flu, as well as relieving congestion associated with allergy symptoms (including hay fever)”. Sudafed Decongestant Tablets retail at £4.19 for a pack of 12. 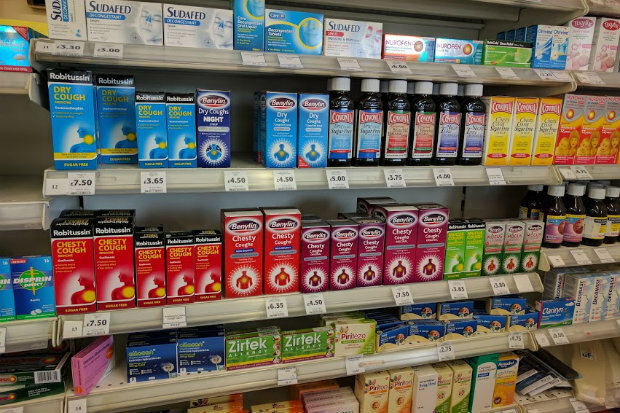 What products do you stock for cough in your pharmacy? no longer ask wet or dry so now its take your pick ? One GP said years ago to me give ADT !. I then asked what's the brand name ? His reply was it means any damn thing , it does not make any difference. That was possibly my father-in-law, who was a much respected single practice GP, who truly valued the relationship with the village pharmacist. Happier days !